The first “ ” appeared in 1961 as Drive-in. Then in 1988, two dedicated restaurateurs relocated and the first Diner became established with a full menu. Shortly after that there was a change in management. The first Diner was a BIG success and it is still in operation and successful to date. Both families had a shared vision with one successful location open already the decision was simple to open a second location. In 1992 just a few Kilometers in distance the second location opened, and of course from the beginning the success was even greater then predicted. 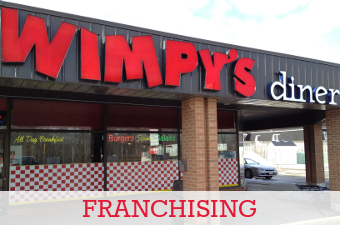 With two successful locations the future of the Diner franchise was born. 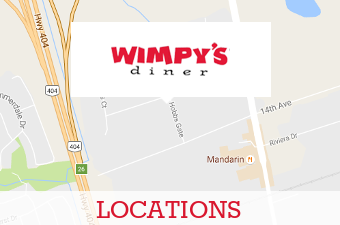 Two locations with the same name, same concept, same menu, same philosophy. The future was inevitable, to date there over 50 locations in Ontario and expansion plans are in the works. 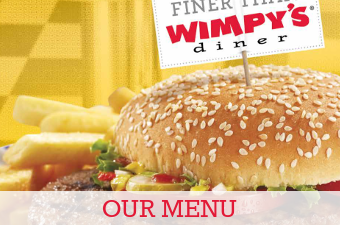 Diner is a casual dining experience adorned with the 50’s and 60’s theme with coin operated juke boxes and decorated with memorabilia the atmosphere is unbelievable and so is the food. of course is known for its Famous Hamburgers, morning and all day breakfast, specialty lunches and home style dinners. 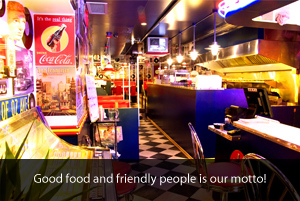 More importantly Good Food and Friendly People is our motto! Exceptional service, quality products…and good value for your dollar is what brings our customers back time and time again. We wholeheartedly believe in our company, its goals and objectives are our mission, and we enthusiastically embrace them and relentlessly pursue them. More importantly, we truly believe in each other, care, protect and support each other. Our corporate integrity is a critical asset and we are committed to upholding it. We thrive on challenges, viewing them as an invitation to success, we work together to routinely please our customers, surpass our record of achievements, and drive our organization to greater success.